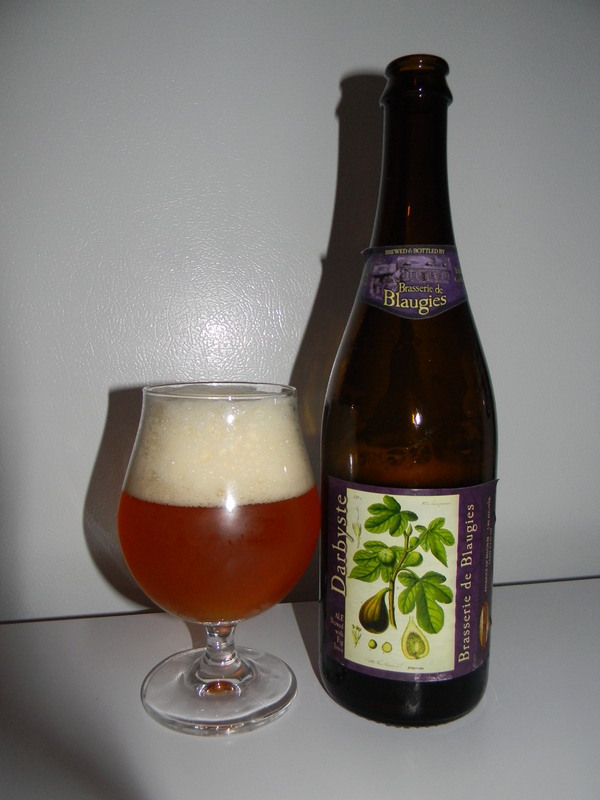 Review of Brasserie de Blaugies Darbyste | Beer Apprentice - Craft Beer News, Reviews, Interviews and Info. Hello again everyone. For today’s craft beer review I’m going to be sampling the Darbyste concocted by the Brasserie de Blaugies located in Blaugies, Belgium. I really don’t know much about this beer at all, so I checked on the website, brasseriedeblaugies.com, and found this short little description. Recipe of our grandmothers, given the low alcohol content, would have given the drink to Darbystes (disciples of Pastor Darby) still exists in the Borinage. Alright. Not much to go on there. Let’s give it a try. This beer came in a 25.4 oz. bottle at 5.8% ABV. It poured a semi-hazy, pale orange color. The crown was barely off white with a rocky, soapy and frothy texture. It was sized very well and the retention time was decent. The lacing was patchy and solid. Not a bad looking beer at all. The aroma released a little waft of fig and peppery spice. A sturdy shot of bread and/or yeast was found as well. Honestly, it smelled quite herbal. It wasn’t overly “loud”, but it did seem to be balanced fairly well. It had somewhat of a light flavor. I did get the figs though. Again, it discharged a decent relish of bread and yeast while the peppery spice seemed to be pulled back quite a bit. The herbal savors were there, but they were also rather subdued. Throughout the drink I obtained a very light touch of sourness too, which I enjoyed. The mouthfeel was medium to light bodied. It was smooth, however crisp and kind of refreshing. It seemed to be a bit watery as well, which in turn didn’t allow the flavor to stick around too long after each sip. Overall, I found this to be a decent beer. Definitely worth a try if you can obtain a bottle, yet I don’t know that I would go out of my way to find one. I’d sample it again for sure if it were offered. The drinkability was rather good and there was plenty to ponder, but I didn’t find that it had any one characteristic that completely blew me away. So, with that being said, give the Brasserie de Blaugies Darbyste a try and let me know what you thought of it. I’d love to hear a second opinion.